Salford lad Russell Watson, aka the People's Tenor, is a working class boy come good and he will be helping the nation celebrate the Queen's 60 years as sovereign with a series of patriotic gigs full, no doubt, of pomp and circumstance. And singing. Makes yer proud. It promises to be another triumphant chapter in the Russell Watson story. His rise from gigging at the local working men's club to his emergence, at his beloved Old Trafford, as a singer of national significance, was hard fought and hard won. His performance in the Premier League was so good that he quickly qualified for the Champions League, singing a full set at the tournament final in Barcelona a few weeks later. His toughest battle was yet to come and in 2006 he was diagnosed with a brain tumour. Having seemingly fought it off, another grew in its place and he spent the latter part of 2007 again fighting for his life. Taken ill during the recording of his sixth studio album, 'Outside In', Watson later returned to complete the record and see it make the UK Top 20, as have all of his eight studio releases. In some quarters, he's also known as 'The Voice', which was also the title of his debut album. The 2001 record reached No 1 on both the UK and US classical charts, making history as the first time a British artist has simultaneously held both top spots. 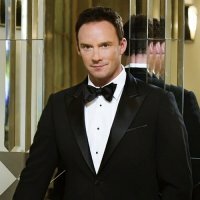 Russell Watson's summer of patriotic fervour kicks off at Manchester's Bridgewater Hall on Thursday 31st May, followed by shows at the Royal Albert Hall, in Birmingham, Liverpool, Cardiff, Newcastle and more, before the final date at Nottingham's Royal Concert Hall on Saturday 30th June 2012. We have tickets for Liverpool and Newcastle dates available now, priced from £40 and £42.50 respectively.